Every Thursday,�select three-five books (not too many, not too little!) that you want to read but can’t decide which one to read first. Post the cover, and if you want, the synopsis or even a random line from the book, for each of your selections. At the end of your post, ask readers to vote on which one you should read next! Even if you don’t end up reading your readers’ top choice, you’ll know what the majority is excited for. 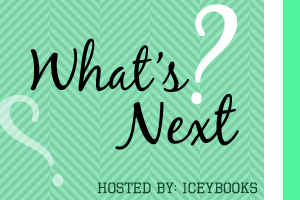 What’s Next is hosted by�Hafsah at Iceybooks. Diagnosed with Stage IV thyroid cancer at 13, Hazel was prepared to die until, at 14, a medical miracle shrunk the tumours in her lungs… for now. Two years post-miracle, sixteen-year-old Hazel is post-everything else, too; post-high school, post-friends and post-normalcy. And even though she could live for a long time (whatever that means), Hazel lives tethered to an oxygen tank, the tumours tenuously kept at bay with a constant chemical assault.� Enter Augustus Waters. A match made at cancer kid support group, Augustus is gorgeous, in remission, and shockingly to her, interested in Hazel. Being with Augustus is both an unexpected destination and a long-needed journey, pushing Hazel to re-examine how sickness and health, life and death, will define her and the legacy that everyone leaves behind. Sam Border wishes he could escape. Raised by an unstable father, he’s spent his life moving from place to place. But he could never abandon his little brother, Riddle. Riddle Border doesn’t talk much. Instead, he draws pictures of the insides of things and waits for the day when the outsides of things will make sense. He worships his older brother. But how can they leave when there’s nowhere to go? Then everything changes. Because Sam meets Emily. Emily Bell believes in destiny. She sings for her church choir, though she doesn’t have a particularly good voice. Nothing, she feels, is mere coincidence. And she’s singing at the moment she first sees Sam.� Everyone whose path you cross in life has the power to change you–sometimes in small ways, and sometimes in ways greater than you could have ever known. So…which book should I read next? Leave a comment to let me know which book I should pick and why! The Fault In Our Stars, I’ve heard great things even though I haven’t read it myself. I’d vote The Fault in Our Stars. I haven’t read it yet – I feel like I’m going to need some time to emotionally prepare for it and then some time to get over it haha. But I know it’s going to be amazing. The Fault in our Stars. Hands down. It is one of the most beautifully written books of all time. Read that with a box of tissues for the last hundred pages or so. 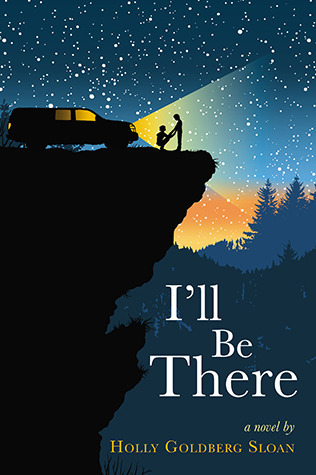 i vote for I’ll be there! It looks like a good book! THE FAULT IN OUR STARS. That book . . . it’s so fantastic I can barely even express it. Beautiful and hilarious and heartbreaking and perfect. I’ve heard good things about VIRTUOSITY… but then, I’ve only heard incredible things about TFIOS. So I vote for John Green! Fault is a ten star, beyond amazing story! No way you will be disappointed. THE FAULT IN OUR STARS!!! The obvious choice is The Fault in Our Stars because that book is SO AMAZING. I have yet to find someone who’s read it & did not get at least something out of it. However, if you’re wanting something to surprise you.. I suggest Virtuosity. This book shocked me by how much I loved it. It’s a quiet book that didn’t get a lot of attention, which I feel it deserves. I highly recommend it! Definitely The Fault in our Stars. It’s the only one of the three I’ve read, which might make be biased towards it in this case, but even if you’d put up books I had read and really enjoyed, TFIOS would probably still be my vote. I vote 358723508978753 times for The Fault in Our Stars 🙂 It is one of the best books I’ve read this year and I can’t recommend it enough! I don’t usually comment on blog posts, but I felt compelled to click out of my RSS feed and tell you that I just read The Fault in Our Stars, and it is definitely what you should read! I would definitely say The Fault in Our Stars!! You will absolutely adore it. The Fault in our Stars. It sounds amazing. Enjoy. I vote for TFiOS!!! I love John Green and TFiOS is one of my favorites of his, along with Paper Towns and Will Grayson, Will Grayson. I hope you enjoy whichever book you choose! That’s incredibly difficult. But I’m gonna go with I’LL BE THERE. Because it’s beautiful in every way. I’ll be there sounds the best to me! I love stories about siblings that take care of one another ans face things together! 😉 Great meme! I vote for the fault in our stars, I have heard amazing things about John Green, Have a great day! I hesitated reading TFiOS for a while because it’s a “cancer” book, but I should have known better since John Green is one of my favorite authors. The writing is gorgeous, smart, and funny. The story is heart-breaking but so incredibly heart-warming at the sane time. It’s one of those I wish I could delete the memory of from my brain and go back and re-read! I’d say The Fault in Our Stars, I haven’t read it yet but i’ve heard amazing things about it. Another vote for The Fault in Our Stars! Loved it. Just started tFiOS today, and it’s amazing. BUT, you really need to read John’s books in order, to enjoy them the most….But my vote is still on it. I’ll say I’ll Be There. It’s such a great book. The third person narration and vignette style writing is so refreshing! It’s an easy read with lots of big ideas behing it. Um TFiOS of course! lol My 1st JG book, it was amazing, he is brilliant! Given the topic, totally not depressing, funny, light BUT thought provoking. Oh & you might cry! Sad cry at first but happy cry in the end. I read Virtuosity, didn’t like it too much but def. well written. Kind of a dark/depressing read for a summer read(in my opinion.) As for the plot/story I just wish it explored more of Carmen addiction. I vote Virtuosity!! To be fair, I haven’t read the other two yet, but I have recommended Virtuosity to anyone who has shown the slightest of interests because it’s GREAT! I haven’t read The Fault in Our Stars yet (though it’s high on my list), but I say Virtuosity. It is one of my faves of 2011. SO GOOD! I’ve read Virtuosity and TFioS and so naturally I saw: THE FAULT IN OUR STARS. 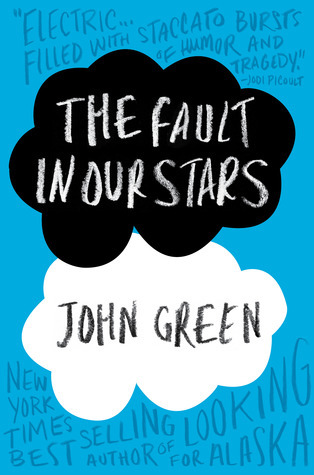 Another vote for THE FAULT IN OUR STARRRRRRRS! Oh wow, this is a great idea! I have read Virtuosity and I really liked it, but I still think you should go for The Fault in Our Stars – I’ve heard so many wonderful things about it! I’ll Be There! I haven’t read the others, but IBT was one of my favorite reads this year.